In the 1950s, an adolescent Werner Herzog was transfixed by a film performance of the young Klaus Kinski. Years later, they would share an apartment where, in an unabated, forty-eight-hour fit of rage, Kinski completely destroyed the bathroom. From this chaos, a violent, love-hate, profoundly creative partnership was born. In 1972, Herzog cast Kinski in Aguirre, la colère de Dieu (1972). Four more films would follow. In this personal documentary, Herzog traces the often violent ups and downs of their relationship, revisiting the various locations of their films and talking to the people they worked with. 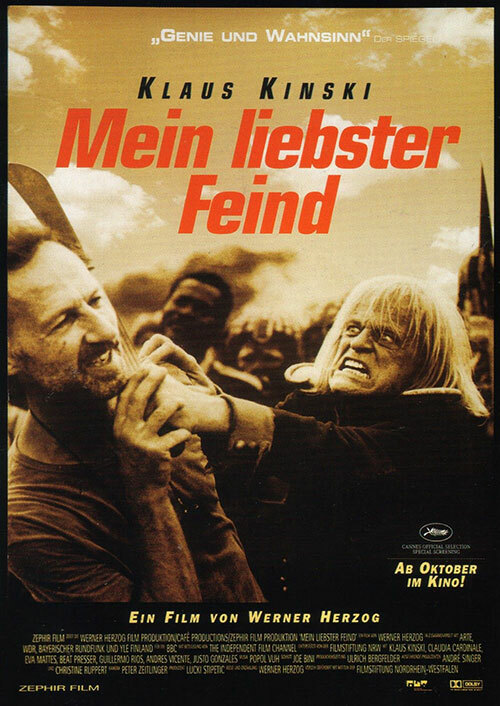 0 Response to "My Best Fiend (1999) Werner Herzog"